It's not old Celine, but it's not not old Celine either. 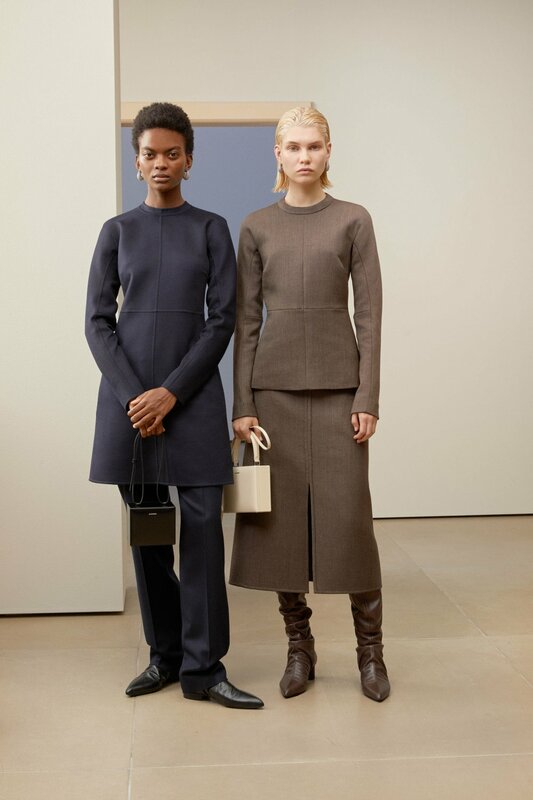 While there will never be another Phoebe Philo Celine era, Luke and Lucie Meier at Jil Sander are making a case as to why they should take the helm at the minimalist throne. This naturally seems right given Celine's newly appointed creative director Hedi Slimane's tendency to take everything he touches and turns it into a Studio 54 manifesto. To be fair, the Meier's are completely capable of garnering attention without blind stitching Philo's reputation to their burgeoning career. Having been at Jil Sander for a year and a half, the couple has been perfecting their niche after slightly battling with how "minimalist" they wanted to be. And alas, a pantsuit was born. For Pre-Fall 2019 the duo presented streamlined suiting with painfully wearable tailoring. The colors carefully muted with a few black, gray and navy hues thrown in for good measure. The overlong tailoring to the pants taking a backseat to buttoned, snapped or belted outerwear. All "generous, friendly volumes" as stated by Lucie. 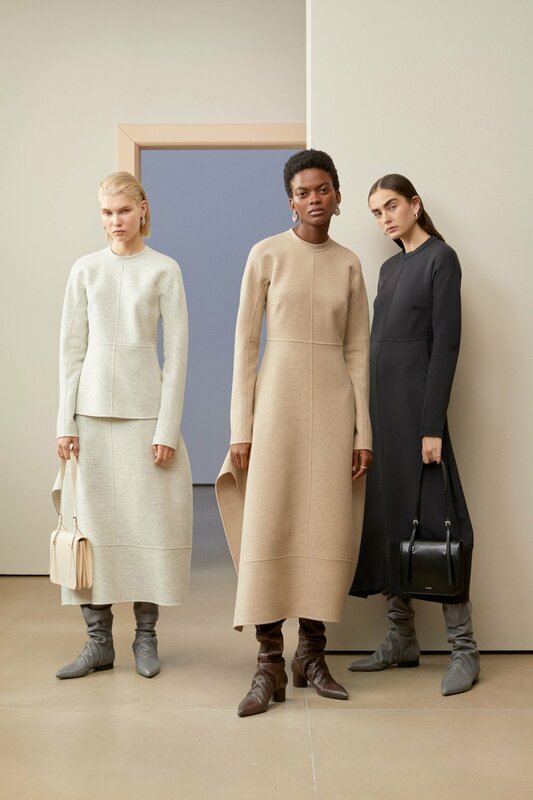 So while Jil Sander has had tumultuous relationships with its designers since disastrously giving Raf Simons the pink slip, I'm left wondering if the Meier's are just what the doctor ordered to turn the embattled label around. I guess only time will tell.